More than half way through Camp NanoWriMo and unbelievably I am ahead of my target of 10, 000 words. 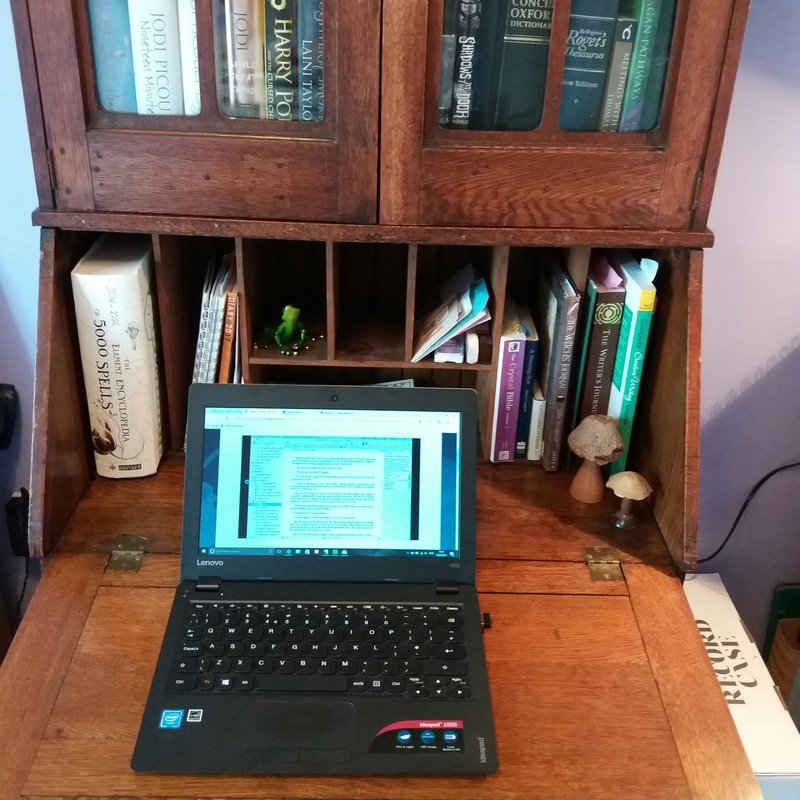 To some it is a teeny target but in recent months getting any words written has been a challenge but now, I am writing daily, even if a few words. It helps so much because my imagination has been released; bringing new ideas, stronger characters and different scenarios even when I am away from the PC. I wake up excited of the scenes I have seen and become frustrated if the opportunity is not there to scribble things down in the detail I would like. Maybe I am a writer after all. Last week, my husband finally turned our tiny spare room into a study for me. It still has the bed for when visitors stay but it also has an old oak bureau my husband has fixed. Having my own space with things to hand which do not need packing away at dinner or bed time is bliss especially when you are surrounded by books. I am feeling grateful and lucky. One of my characters in my WIP resides in Whitby so as a family we tootled over the moors, enjoying the fantastic scenery to visit this atmospheric seaside town with its cobbled streets, unique shops, wonderful book shop* and scrummy fish and chips. The perfect house and shop for my character wasn’t found but my imagination has developed one just for her. If I could bring one place out of my head into reality, it would have to be Willow’s shop nestled in an unknown street of Whitby. I would spend a fortune so maybe it is wise to leave it there. As my story develops and other characters visit there I will have to go there again for research. After all, it would a shame not too. *when this book is finished, it would be my dream to do a book signing in The Whitby Bookshop. It may be small but it has a wonderful character with its spiral staircase, helpful staff and lots of bookworm goodies as well as the stars of shop – the books!